We have always looked to the stories of those who have gone before us for answers. Specifically, I would like to reference the writings of a young man, not unlike myself, named Warren Griffin III. He came to a crossroads in his life back in 1990, and is now very successful thanks to choosing the right path. The following passage is taken from one of his works titled “Do you see?” and was performed as sort of a spoken word backed up by musical sounds. “Should I A: Go back to slangin’ dope? 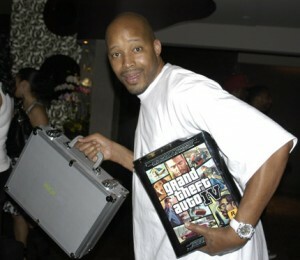 That “G child” he created went on to become the twice grammy nominated rapper known as “Warren G”. Now, I may not have the same exact options to mull over, but I believe there is a common thread that ties us together. His A) “Go back to slangin’ dope”: For me that would be going back to FedEx. Sure, I wasn’t actually dealing drugs, but I did work in a distribution center. The money was good, I had my own crew, and I once handled a package that was going to Damon Stoudamire. Remembering all of the reasons I quit, assures me that going back to “slangin’ dope” would be the wrong decision for me as well. His B) “Maintain and try to cope”: I think for both of us, this would be searching for a 9 to 5 job that neither of us wants. The one thing I really enjoyed about my last occupation was the uniqueness of it. A casual night shift with a sprinkling of vulgar truck drivers. An office job where I may have to shave and wear a clean shirt sounds like prison. Most likely the time will come, when I will have to just “maintain and try to cope”, but I am not giving in yet. His C) “Just get crazy and wild”: I have a friend who has chosen this path, and so far he is having a blast. He believes in his exit strategy and we hope that he has a smooth landing back into a sedentary life, if he decides to come back. For me, it would be buying a one way ticket to a region (India, SE Asia, or South America) and then wandering the earth until deported or broke. Sure, I could get crazier and wilder, but I have to keep these options somewhat reasonable. I like the sound of this one except for the broke part. A few adjustments and this could be a winner. His D) “Create the G child”: Despite the fact that “H child” doesn’t sound near as cool, the idea is solid. Creating another identity helps build the illusion of a clean slate and a new life. Now, I am not going to change my name and start spitting some dope lyrics, but I can choose a new career path. What that is, I don’t know yet. Part of the reason for traveling is to hopefully find that spark and opportunity. A job overseas or anything that has a positive impact on others and myself, is what I am looking for. So what you’re saying is, I should start hanging out with you soon, because you won’t be home much longer. Let’s do it! I like the way you think. And I like being referred to in connection with the “Get Crazy and Wild” option. I’d like to sell you on Asia, but maybe I can find a way to S.A. someday too…if you don’t mind an occasional accomplice.